When Hamid was a child, he wanted to learn karate so he could be as strong as Bruce Lee and Jackie Chan. But it wasn’t until 1993 that his real love with Shotokan Karate began. Karate has helped Hamid in many ways. It has instilled in him the discipline and patience to overcome obstacles. It drove him to become very self-motivated and helped him adjust when he immigrated to Canada from Iran. His practice has always lent him clarity and perspective; combining his code of ethics with the philosophy of Martial Arts, Hamid has consistently managed to improve his relationship with himself, his family, friends, and community at large. The work is ongoing and for Hamid, the joy of facing challenges continues. Through teaching, Hamid seeks to share his experiences and the values that he has learned. His goal with Tigers Eye Karate-Do is to create a learning environment where both inner and outer growth is possible; leaving his students with a sense of accomplishment and a step taken in the right direction. Kia began his journey in Karate in 2003. 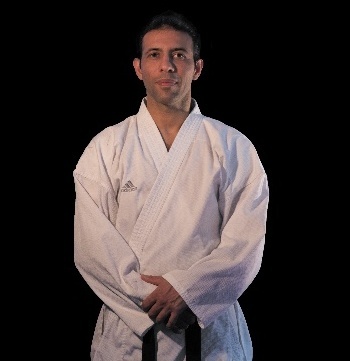 He trained alongside Sensei Hamid at the NSKI Karate dojo under Sensei Reza Salmani until 2006, and then stopped practicing due to increasing demands at work and school. He rejoined Sensei Hamid at the North Shore Neighbourhood House in 2008. He practiced on-and-off since for a few years and helped to teach classes wherever he could. In the fall of 2013, Kia began to train regularly again at Sensei Hamid’s newly founded Tiger’s Eye Karate-Do; he achieved the rank of black belt in the fall of 2014. Kia is studying to be a doctor at UBC, works as the head trainer and top instructor at Cypress Mountain, and coaches rock climbing at The Edge Climbing Gym. He has a passion for teaching and has a strong understanding of the human body. He is also a strong athletic trainer, using his knowledge and experience to design tactics to improve every individual he encounters in a unique way. He strives to further himself in Karate and all other aspects of his life. Alex began training Shotokan karate with Sensei Hamid at the age of seven. Since then he has medaled at numerous tournaments, Provincial Championships, and two National Championships with the Karate BC Team; all of these were invaluable experiences. He also attended the Pan American Championships, with the Karate Canada Junior National Team, in which he gained valuable experience. Karate has allowed Alex to travel to places that he had never been to before, and make a good deal of new friends. Participating in karate has greatly benefited Alex's physical fitness, mental strength, confidence, and self-esteem. A variety of exercises for strength, flexibility, cardio, and endurance have greatly contributed to Alex's development. Alex has learned the importance of discipline and determination through training. Believing in himself and his abilities became more and more natural for Alex as a result of karate. Alex has loved training at Tigers Eye Karate-Do for all of these years. All of these experiences have greatly assisted Alex in his everyday life; never the less, none of these experiences would have occurred without the support of his Sensei and he is very grateful. On that account, Alex decided to help instruct others in karate as well. Fernando began his martial arts training in Shotokan karate when he was seven years old. Ever since, it has been a huge part of his life. He has been training with sensei Hamid from the beginning and has learned discipline, confidence and the courage to follow his dreams. Throughout the years Fernando has competed in provincial and national tournaments, in which he has gained a great deal of experience and knowledge. Training at Tiger’s Eye karate-do has been a wonderful experience for Fernando and he has been able to make countless new friends as a result. Karate gives him the opportunity to travel to different places around the world to compete and gain highly valuable experience. Training Shotokan with Sensei Hamid has given him a high physical fitness, determination and mental strength that has helped him overcome obstacles in his life. Fernando feels very lucky to be able to train at Tiger’s Eye karate-do and learn so much. He really enjoys being a karate instructor and have the opportunity to pass on his knowledge and values he has learned over the years to others. A month after coming to Canada, Maria’s parents registered her in karate. However, she had no desire to be signed up and cried on her first class. In fact, she sat and watched her first two classes. It was completely out of her comfort zone. She had never done any extracurricular activities in the Philippines, so karate was her first. What made Maria continue something as inconceivable as karate? It helped her step out of her comfort zone. She learned to challenge herself and it was rewarding. And the self-assurance she got out of class certainly didn't hurt - she changed from being too afraid to speak to talking quite a lot. But what made Maria stay for the next 8 years? The teacher, the class and the whole experience: the fact that Sensei Hamid cares beyond his students' techniques and stance. The positive atmosphere at Tigers Eye keeps her returning to practice with people who are passionate about karate and respectful to their fellow students. Maria believes it was the respect from both the teacher and the class that helped her continue. Although she is not naturally athletic and karate is such a strenuous sport, Maria finds each class is gratifying--the past 8 years have been very rewarding to her. Which goes to say, she sees herself training and teaching for a very long time.